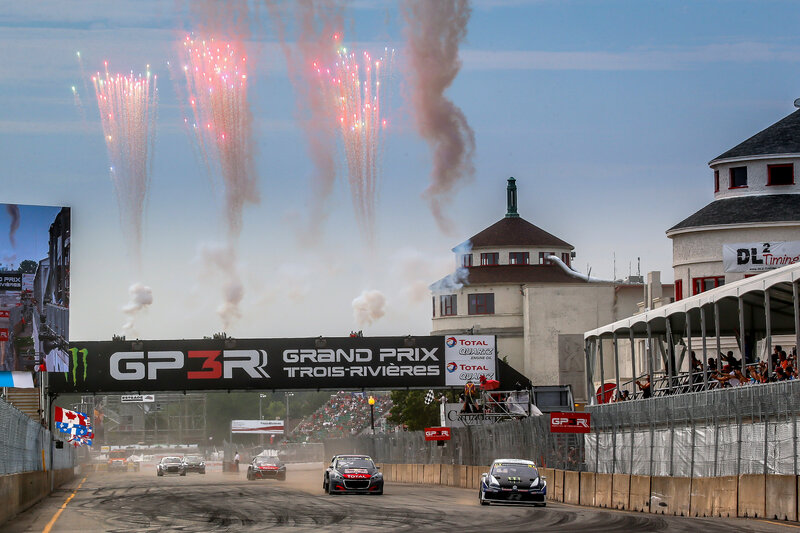 Johan Kristoffersson staged an incredible comeback at Trois-Rivieres last month whilst Timmy Hansen and Sebastian Loeb earned a double podium for Team Peugeot Total. PSRX Volkswagen Sweden’s Johan Kristoffersson stormed to victory in round seven of the FIA World Rallycross Championship presented by Monster Energy in the World RX of Canada. GRX Taneco’s Niclas Gronholm finished fourth in semi-final one ahead of Olsbergs MSE’s Kevin Eriksson and GRX’s Timur Timerzyanov. EKS’ Andreas Bakkerud took the lead of semi-final two at the start from the second row but damaged the left-rear suspension on his Audi S1 and finished the race fourth as Team Peugeot Total’s Kevin Hansen and Olsbergs MSE’s Robin Larsson retired. GC Kompetition’s Jerome Grosset-Janin and Guerlain Chicherit had a challenging weekend and finished 13th and 15th respectively. Sebastien Loeb Racing’s Gregoire Demoustier was 14th.